This add-on will Sync all Tickets, Contacts, Accounts, and Reply. A Freshdesk ticket will be Case, Freshdesk contact will be Contact, Freshdesk customer will be Account & Freshdesk replies will be Note in CRM. 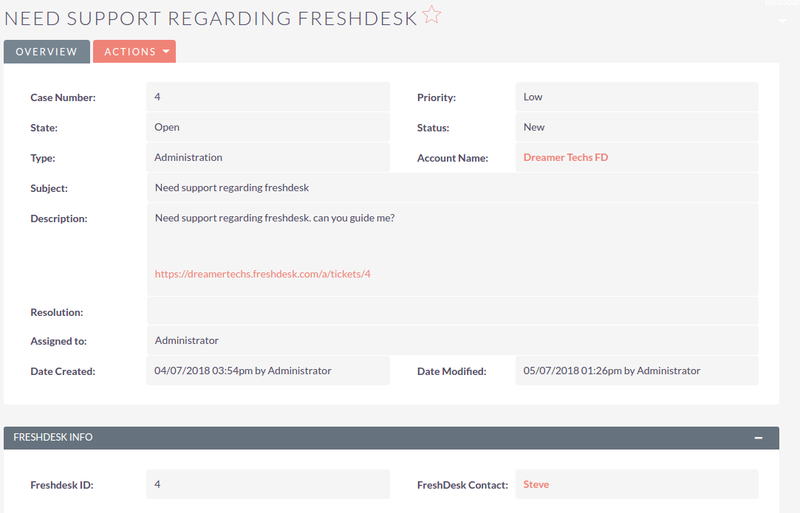 Enable you to effectively control your Freshdesk data across SuiteCRM. Below is the screenshot of a case record created in SuiteCRM. A ticket generated to your Freshdesk portal. Now a case, account, contact also gets create in SuiteCRM and will relate to Contact and Account. It will sync ticket fields like status,state,priority,description,attachment,replies. 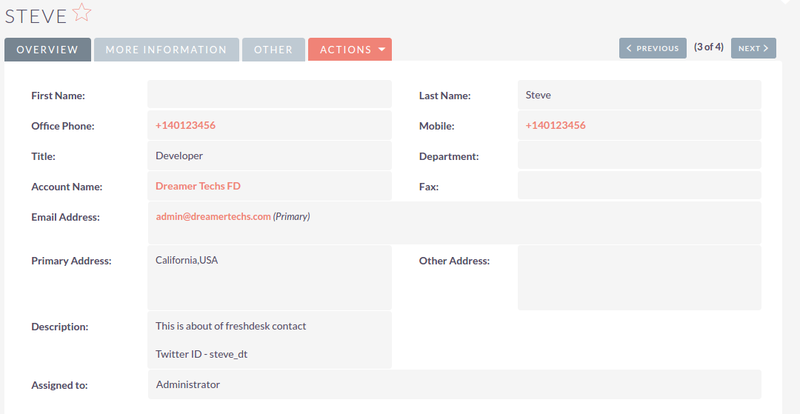 Below is the screenshot of a contact record created in SuiteCRM. Below is the screenshot of an account record created in SuiteCRM.